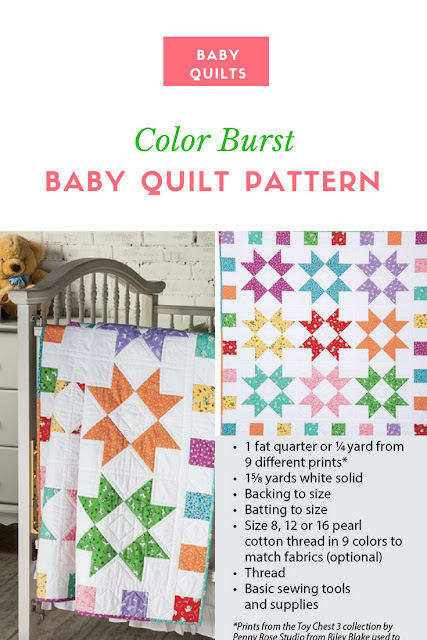 The colors of the rainbow make this Color Burst Baby Quilt Pattern a favorite to make for a new baby or nursery. 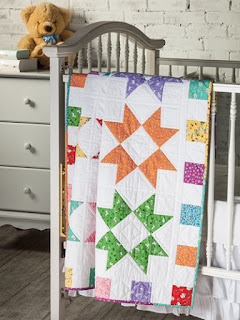 The Design is a collection of rectangles, squares, and triangles that easily make up this baby quilt. 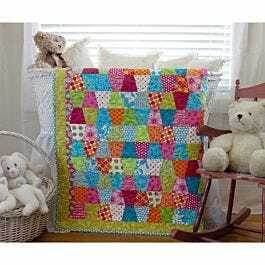 You can make the pattern for baby or quilt one for yourself to cozy up with. The finished pattern when completed is 42" x 42". The pattern is easy to follow and is gorgeous when completed. 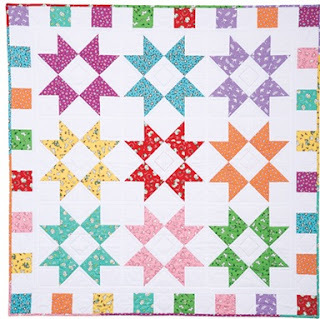 Whether you decide to use scrap fabric or purchase fabric online or at the store this makes a fun and colorful quilt.